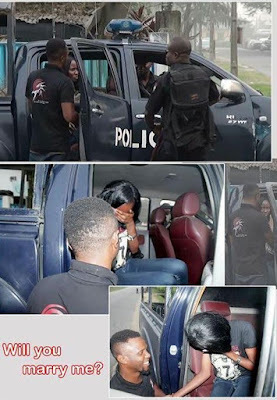 Nigerian man, Brown Affah, pretended he was arrested by the Nigerian police to throw his girl, Effiwatt Yemi, off as he prepared to propose to her. Here is what he wrote as he shared photos from his creative proposal. "Breaking News.....!!! 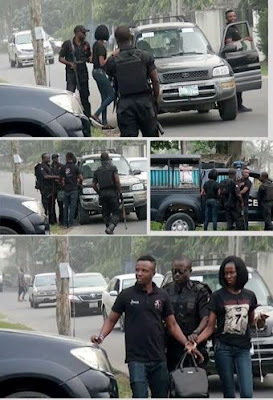 Good morning Facebookers This pictures have so many stories behind it, firstly I was sure of the color of clothes she wore to work, black top and blue jeans so I called some of my single friends who are still around after Christmas.